During a mission in the Middle East, secret agent Harry Hart is unable to prevent the death of one of his fellow agents. 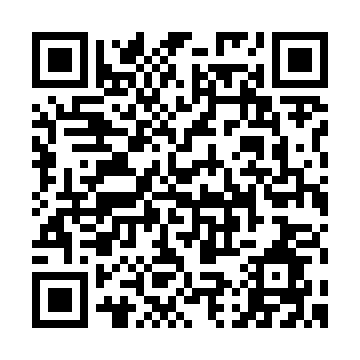 Feeling 1guilt, he personally delivers a bravery medal to the man's widow and his young son, Eggsy, saying that if they ever need help, they should call the phone number on the back of the medal and deliver a coded message. Seventeen years later, an unemployed Eggsy, now in his early twenties, gets arrested for joyriding in a stolen car. In police custody, he remembers the medal and calls the number on the back. 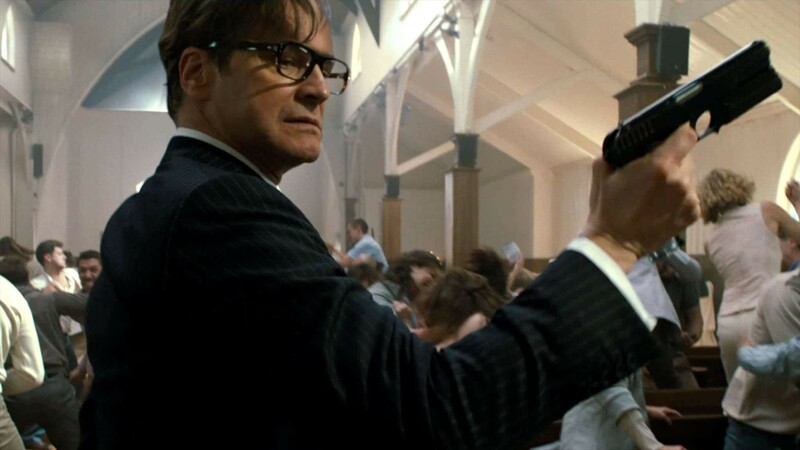 He is quickly released and met outside the police station by Harry, who introduces him to the world of the secret agency that he and Eggsy's late father work for: the Kingsmen. 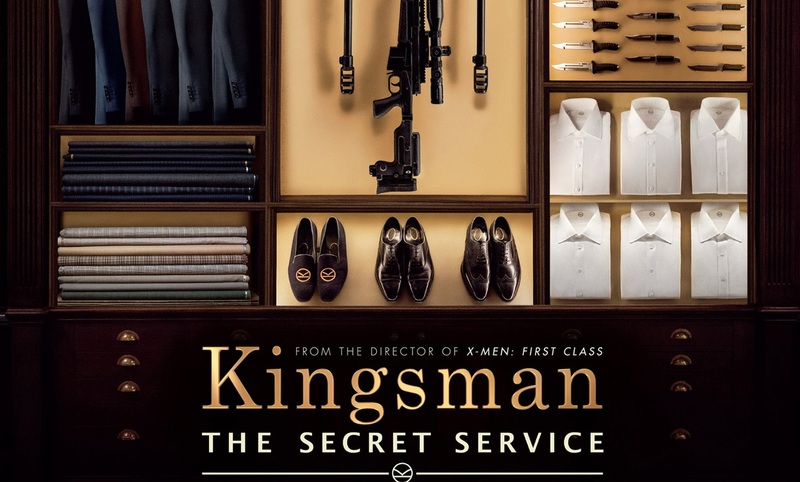 Another Kingsman agent, Lancelot, who was 2inducted during the previous mission, is killed by Gazelle, an assassin with weaponised 3prosthetic legs, on a mission to find the missing scientist Professor Arnold, creating a vacancy for a new agent. Harry proposes Eggsy as a candidate; and, together with other young hopefuls including a girl named Roxy, he is enrolled in the training program designed to weed out the unsuitable until only one candidate remains. The training is overseen by Merlin, a senior Kingsman, and each recruit is assigned a new dog to train in turn. The tests are rigorous, with scenarios implemented to push the candidates to their physical and mental 4limits to 5assess their courage and ability to work as a team. 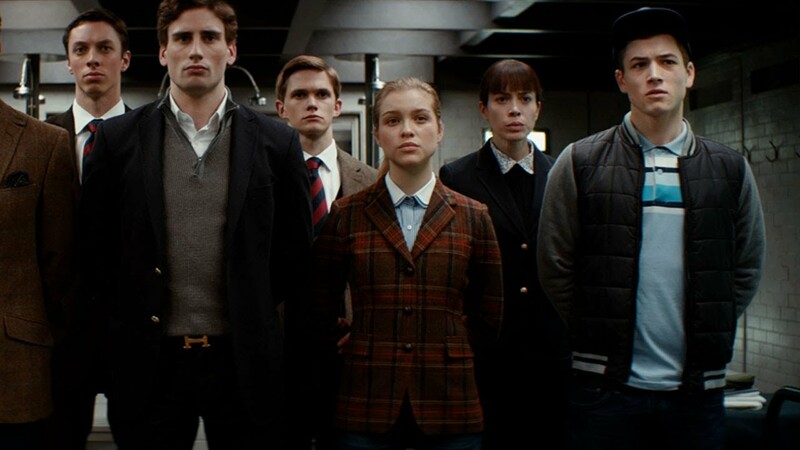 Eggsy and Roxy 6emerge as the last two potential candidates; when the head of the Kingsmen, Arthur, instructs him to kill his dog as the final challenge, Eggsy is unable to bring himself to do it; Roxy shoots hers and is given the job. It is revealed later that both Eggsy and Roxy's pistols had blanks, and it was strictly a test to see how far they would go. Meanwhile, the Kingsmen are investigating the activities of the technology 7tycoon Richmond Valentine, who appears to be a great 8philanthropist, giving away free SIM cards around the world; but he is suspected of being involved in a number of 9disappearances of VIPs, including the Swedish Princess. Harry tracks Professor Arnold to his class, where he interrogates him about Valentine's whereabouts; a chip implanted in Arnold's head suddenly explodes, killing him and injuring Harry. Once recovered, Harry is sent to investigate and follows a lead to an obscure hate group church in the American Midwest. At the church, Valentine and Gazelle conduct a test, broadcasting a signal to phones containing his SIM card, which causes humans to become uncontrollably violent. As a result, all of the church members, including Harry, break out into an aggressive fight. Everyone is killed off until only Harry emerges as the sole survivor, only to be confronted and killed by Valentine while Eggsy, Merlin, and Arthur watch via video link. Valentine's plan becomes clear – he is going to broadcast the signal worldwide, using his satellite network and cause a mass cull of the human race. 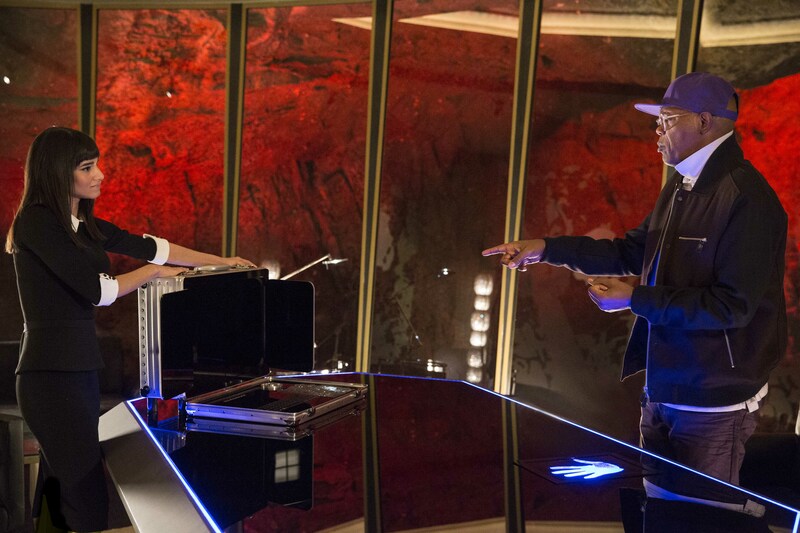 After Harry is killed by Valentine, Eggsy discovers that Arthur is secretly one of the many VIPs that Valentine has implanted with a device to block the signal, similar to the one planted on Arnold's head, thus guaranteeing their survival. He avoids being killed by Arthur, switching a poisoned glass of brandy so that Arthur dies instead. Eggsy, Roxy, and Merlin head to Valentine's mountainous secret base to stop Valentine from executing his plan; Roxy will destroy Valentine's satellite while Eggsy stops Valentine himself. During the raid on Valentine's base, Eggsy is cornered and Merlin triggers the implanted devices, causing them to explode and kill all of the VIPs who were part of Valentine's plan. Eggsy confronts Gazelle and poisons her with a hidden blade in his shoe. Eggsy then grabs one of Gazelle's prosthetic legs and plunges it through Valentine's heart, killing him. Merlin congratulates him for his success, but Eggsy chooses to stay to visit the Swedish Princess.